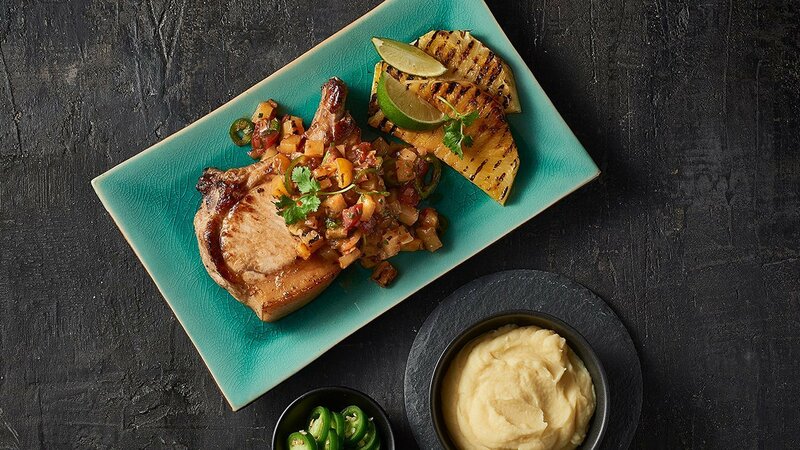 Take this Aussie classic "barbequed pork" and give it a sombrero. That's what you get in this menu addition. Taste the perfectly matched flavours and let your taste buds be transported. Season Pork cutlets and grill until medium. Grill pineapple and dice. Combine pineapple, KNORR Mexican Chunky Salsa Mild GF, tomatoes, onions, KNORR Lime Powder, coriander, jalapeños and oil. Set aside ready to top the pork before service.